Perhaps the most evident and popular feature of Chinese culture is the Chinese Kung Fu. People all around the world are familiar with Chinese movies where Kung Fu was promoted as a martial art and has single handily played a major role in bringing Chinese culture the global attention that it deserves. 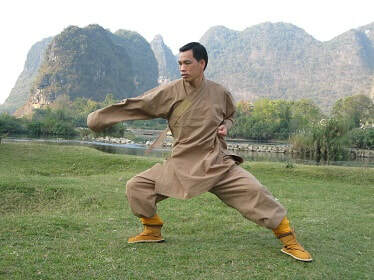 Yangshuo Taichi is another popular stream of Chinese Kung Fu and is visibly available to visitors during their Yangshuo travels. There are various tournaments classes held on a daily basis as private or group lessons run by a Taichi master. Many of these masters are award-winning teachers and are accredited by the Chinese Taichi accreditation committee. They have experience teaching and training a diverse range of students over their time as teachers and students can opt for English-speaking teachers, if interested. The most popular of all the classes are those held on the banks of the Li River at sunrise. The entire scenery consisting of green Karst mountains shadowing and shading you as you indulge in the sacred art of Yangshuo Taichi is particularly enjoyable for all in attendance. It is evident that mastering the art of Taichi cannot happen in a few days as these teachers have practiced this sacred art for years to perfect it; however, visitors can take home some happy memories of learning the great art of Chinese kung Fu or at least the basics of it. So get ready to unlock your senses on the banks of the Li River and practice the art of Yangshuo Taichi with your fellow students in the open air and spectacular surrounding scenery, nothing else can compare! Interested in experiencing Yangshuo TaiChi on a Tour? Wendy Wei Tours offers a variety of different packaged tours as well as custom tours including Yangshuo TaiChi, among other attractions and destinations. To find out more, please visit our Tours page or Contact Us directly to find out more.